Simple, so-called table-based apps with very basic information (hierarchical topics with a list of available subjects) cost from $1000 to $4000 (money you would pay to a web development contractor agency). Add-ons such as geolocation, social media integration, camera integration, push notifications and all the rest will cost up to another $4000. Database native mobile apps vary between $8k and $50k, and you will be responsible for all the content. This type of app is great for adding structure and logic to the existing content so that it is organized and displays efficiently. You can also opt for a fully dynamic mobile app. The data it relies on is outside the app (on a social network, for example). In the last few years, web-based mobile apps have become more sophisticated and started to replace native apps because they require less memory and use more convenient cloud-based storage for the information they need. The growth in the usage of smartphone and mobile apps has made developers and marketers interested in using this new marketing channel or even producing an entirely new independent product. There are many reasons why everyone cares about mobile these days. Can you believe that mobile app usage has exploded by 76% in the past year? “How much does it cost to make an app?” is the number one question developers and marketers ask themselves and Google when thinking about their mobile strategy for the first time. Oddly enough, this topic is even more mysterious than the actual revenues developers can potentially make out of mobile apps. I’d like to clarify the situation a bit and show you the most interesting statistics along with my experience. Many marketers assume it’s too expensive to produce a mobile app. 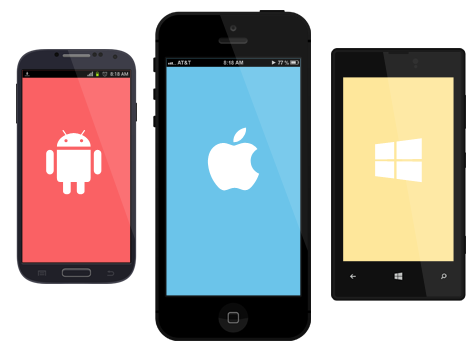 A small number have heard about easy-to-use mobile app builders and think they can make one for a very low cost. Both points of view are extreme. Individuals and some marketers frequently opt for mobile app builders. The pricing starts from $10 a month and goes up to $1k a month, while you can also buy yearly plans. What exactly do you get? Don’t let the “no coding skills required” promise mislead you. Cheap mobile app builders are nothing but a range of templates, and the maximum customization you get is choosing the color and changing the text above and under each of the fields and blocks. Although this type of solution may work great for small local businesses and individual users, they are actually a waste of time for the majority of businesses for several reasons.